Courtesy of KIFF REALTY INC. Walk on in and call it home! This beautiful Ashton Woods townhome is in a prime LOCATION in Laureate Park. 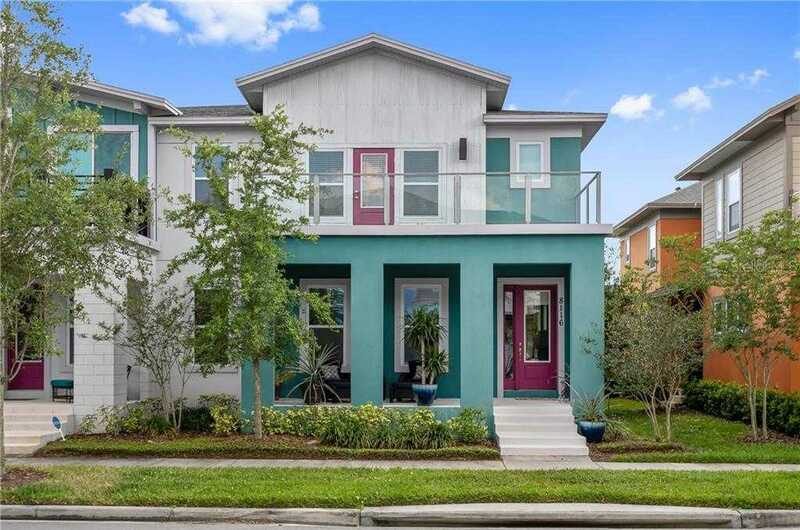 This 3 bed, 2.5 bath modern townhome features many upgrades! From the beautiful white cabinets, upgraded flooring and granite counters to the screened in lanai, balcony and front porch, this home has been carefully cared for. Perfect for entertaining, downstairs has an open kitchen to Family Room and has a very open concept. Upstairs, you will find the Master with Dual Sinks and a RAINHEAD showerhead, and 2 other bedrooms, one with it’s very own balcony where you can see the future Lake Nona Town Center! HIGH SPEED Internet and Cable by DAIS are also included in your HOA! Conveniently located to the Community Pools, Fitness Center, Canvas, 417, 528, Lake Nona Town Center, VA Hospital, Nemours Children’s Hospital, UCF College of Medicine, UF Pharmacy School and more! If LOCATION and CONDITION are important to you, then schedule your private showing today before this home is GONE! Please, send me more information on this property: MLS# O5776695 – $340,000 – 8116 Upper Perse Cir, Orlando, FL 32827. I would like to schedule a private showing for this property: MLS# O5776695 – $340,000 – 8116 Upper Perse Cir, Orlando, FL 32827.